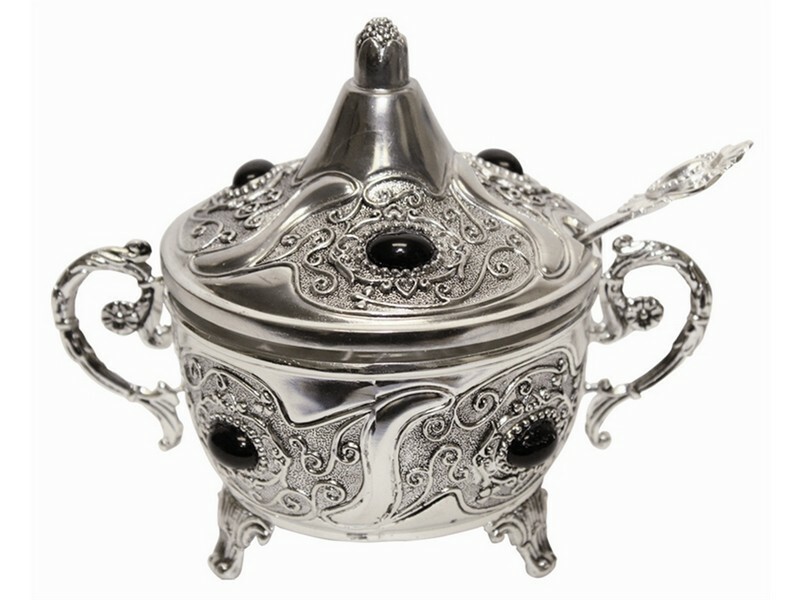 This silver plated charoset dish will decorate and enhance your Passover Seder table. The charoset dish is designed with classic traditional patterns and glossy black stones in the center of the design patterns. The charoset dish stands on four legs and has two handles on each side. The charoset dish cover has a groove on the top to accommodate included matching spoon. The charoset dish also includes a glass bowl insert that which makes it handling and cleaning easy and neat.